Mathematical utility for integer conversion. Is there a better alternative to Base Converter? Is Base Converter really the best app in Mathematics category? Will Base Converter work good on macOS 10.13.4? Base Converter converts an integer or non-integer string, including floating point strings, expressed in one base to an expression in another base. The allowed bases range from 2 to 65536. The length of the integer or non-integer is limited only by available memory. 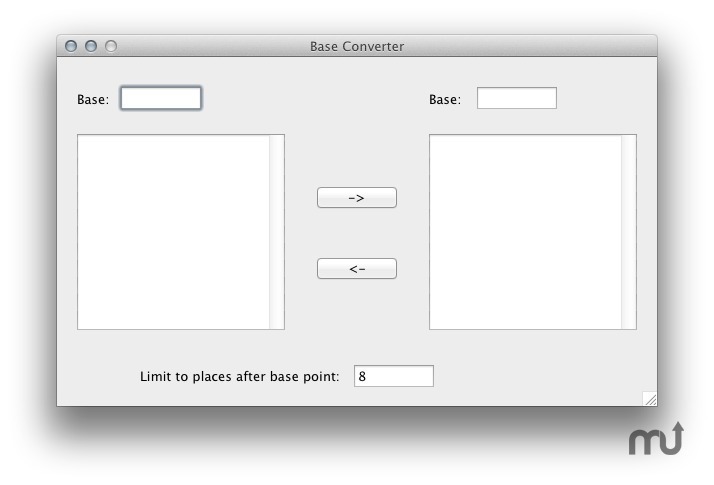 Base Converter is a Universal application which runs under OS X on either PowerPC or Intel based Mac computers. Now has both left and right text boxes for limit to places after the base point.